Do you need to remove old insulation from your attic, wall or elsewhere in your home? If you’re looking for insulation removal contractors in Boise or a surrounding area in Treasure Valley, call the team at Big City Insulation of Idaho. We offer residential insulation removal services you can count on, whatever the project entails. For insulation removal services conducted by professionals with years of experience in the insulation industry, call 208-488-4962 or contact us online today to schedule your consultation! Damaged by fire or anything else: Of course fire is going to call for insulation removal services. Charred or burnt insulation won’t effectively keep warm air inside your home during cold months or the opposite during warmer seasons. Insulation removal requires the same attention to detail as adding new insulation to an existing home, and we provide this expertise for every single job. When removing insulation, the Big City Insulation of Idaho team uses equipment designed to collect and distribute the old insulation into a holding container outside the home. For professional, quality insulation removal services in Boise, ID, you’ve got to contact Big City Insulation of Idaho! Stop searching “should I remove old blown in insulation” and call us today. Big City Insulation of Idaho specializes in insulation removal and re-installation jobs. You can trust our certified insulation professionals, who will help determine the right R-value and insulation solution for your Boise home, making sure you’re able to live comfortably year-round. 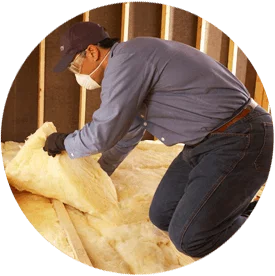 No matter your insulation removal and installation needs, our professionals can meet them. We provide quality insulation removal services throughout Boise and the surrounding areas! Whether you need attic insulation removal or crawl space insulation replacement, you can count on Big City Insulation of Idaho! Contact us now.